The Impulse 6000D Defibrillator Analyzer and Impulse 7000 Defibrillator/Transcutaneous Pacemaker Analyzer Test Systems are rugged, portable precision test instruments that ensure proper operation and ultimate performance of critical life-support cardiac-resuscitation equipment. These best-in-class defibrillator testers feature defibrillator analyzer capabilities that encompass a wide spectrum of worldwide established pulse shapes, showcase AED tester compatibility, and outperform in accuracy and standards. Additionally, the Impulse 7000DP defibrillator and pacemaker tester incorporate the tests and the extensive range of test loads and measurement algorithms needed to test external transcutaneous pacemakers. 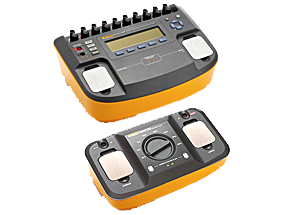 In conjunction with an Impulse 7000 defibrillator/pacemaker analyzer, the Impulse 7010 Defibrillator Selectable Load Accessory provides multiple loads of 25 Ω, 50 Ω, 75 Ω, 100 Ω, 125 Ω, 150 Ω, 175 Ω and 200 Ω for defibrillator performance testing. 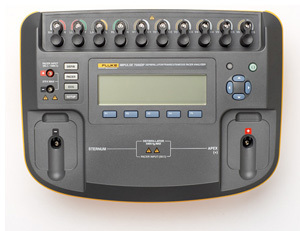 A standard USB interface enables computer control and data transfer, and optional Ansur PC-based automation software increases productivity by outfitting users with an easy-to-use method to standardize defibrillator test procedures and capture, print and document data. We offer Exchange service parts for systems such as ATL, Acuson, HP, Siemens,GE, Toshiba and other popular brands. We maintain a stock of fully reconditionedprobes from every major OEM.We can guarantee immediate delivery onmost probes. Vos questions sont importantes pour nous donc nous répondrons dans les 24 heures ouvrables.